Overall, the Cruise exceeded our expectations. It was a memorable cruise and we would re-book. We appreciate Janet for her guidance and for arranging a show with the package. Thank you for your guidance and help. We loved it. Overall, I would rate this cruise 8+. I would rate this higher if the sit-down and specialty restaurant was better. Went to the steak house for steak, but other than the sliders the rest was bad (overcook). The new ship, activity and the show was almost perfect!!! Great experience. 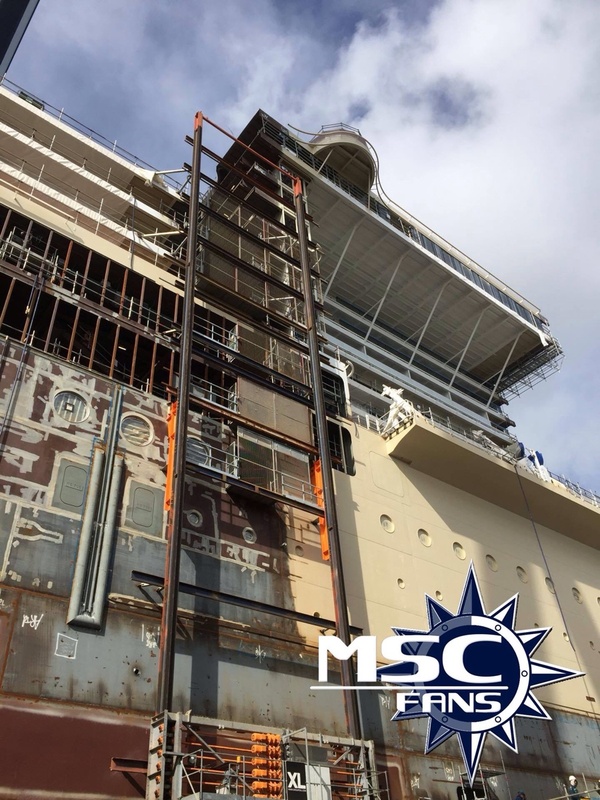 Next time we will pick a smaller shop, but we will sail again with MSC guaranteed! Beautiful new ship. Dining & activities (lack thereof) biggest downside. The cruise was a little different from what I'm used to but had a great time and and a great experience. Try everything you can on the ship especially the shows and restaurants. Best cruise ever until departure to discover broken handle on luggage. This caused lots of issues on the remained of our European trip, mostly by train! We really enjoyed this cruise but experienced cold weather and rain for the first two itinerary stops in France and Italy. Ports of call were excellent as was the ship and amenities. We loved that MSC honors previous cruisers status from other cruise lines or hotel or airline status. 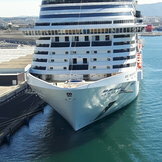 I would cruise with MSC again, I hope MSC will try to improve the communication and make personnel much happier place for them. I love the guests on the ship and I miss them already. I am hoping they should get better entertainment shows, overall the PAZ is very good, not able to see the WAY. The amenities and ship were top notch. Food quality and variety needs improvements. should have a system that passengers can communicate with each other with telephone. When we didn't havce cell service,m it was difficult to find each other. a lot of time was spent walking around, looking for one another. The automated screens and tv system for reservations and booking was not too user friendly, glitchy ( would get stuck, not responsive) I wasn't able to check if all people in my party were included in reservations and none of the employees had access to help me. Spent too much of my leisure time on that. Nice ship, too many people, average entertainment and food. Limited menu at dinner. I was expecting more, since it was a new ship. The staff was fantastic, except one older waiter. Yacht Club in itself was an oasis within a busy ship. Good, but not excellent service and the experience in itself was let down by lacklster food, paricularly when it came to fish and shellfish. Cabin was miniscule. El barco hermoso nuevo y moderno, es lo único que puedo decir bueno. El personal mal organizado, en cada puerto que hacía parada abordaban mas personas y tenían que hacer el simulacro nuevamente,bastante fastidioso escucharlo 6 veces. En excursiones no me quisieron devolver el dinero por un error de ellos, cuando llegas a un puerto bajas del barco y estas a tu suerte pues ni un mapa del area te dan.En este barco pagas por todo no incluye nada ( no helado, no hay cereales para el desayuno, no hay jugos (solo en horas de desayuno), servicio a la habitación pagas por plato, no incluye área thermal, si vas a utilizar el area thermal $40 diarios..etc. El buffet no importa la hora no tenía variedad, imaginó para obligar a pagar en los restaurantes $. Ship was quite nice but staff are rude and they hard sell everything. Before the cruise I was getting constant emails telling me to precook everything and check in online, which I did. All of it was pointless as I still had to queue to check in and make the bookings again that I had already made. 7 nights was too long on this ship. 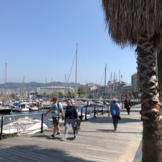 We have just returned from a western Mediterranean cruise starting at Barcelona on the Meraviglia Everything was very organized from embarkation to disembarking, no waiting and our cabin was ready by 2pm. There is something for everyone on this ship, I was amazed at the amount of children on board the 2nd week in January, most were no problem, all ways an exception to the rule. But we found the sky lounge for pre dinner drinks and after dinner, it closes at 1am, there is a sign before you go in that says adults over 18 years only. On 2 occasions there were pushchairs with babies, they were asleep so no problem, but why say adults only and let children in. And another gripe the casino bar has the same policy, 18 years and over, so I asked the waitress why there were children sat at the bar, ( this was 2am) and was told children can come into the bar but not in the gaming area, but the bar was in the middle of the casino, I don’t have a problem with children, but I do when late at night they are running around the bar area, while the parents take no notice of them. The shows were great as was the cirque do Soleil, we found the staff very hard working and very pleasant, We would definitely cruise with MCS again.